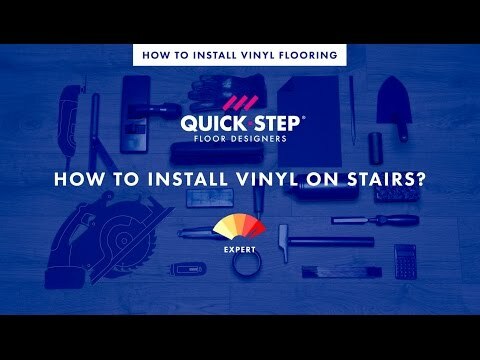 Want to add a unique look to your new floor? There are tons of options available for you to complete the picture. Select matching skirting boards or finishing profiles and awe your guests with your eye for detail. As if our luxury vinyl floors aren’t eye-catching enough! Why choose Quick-Step skirting boards and profiles? Every Quick-Step Livyn floor has a skirting board and profile that perfectly matches or complements its unique design. A high-tech layer with stain, scratch, and water-resistant capabilities ensures that the skirting boards and profiles can handle the rough and tumble of everyday life. This layer also makes Livyn floors suitable for rooms with high moisture levels, like bathrooms and kitchens. Absolutely perfectly matching, in colour and structure, with your Quick-Step Livyn floor. Water-resistant and extremely wear-resistant, for a lifetime of pleasure. Available for Balance and Ambient floors. Patent pending. Absolutely perfectly matching, in colour and structure, with your Quick-Step Livyn floor. Water-resistant and extremely wear-resistant, for a lifetime of pleasure. Available for Pulse floors. Patent pending. Bridging height differences between floorings? Finishing stairs or steps? It’s easy like 1-2-3 with these profiles. Quick-Step’s Incizo® profile is a multifunctional finishing tool. One and the same profile can be used for all the finishes of your floor and stairs, in the matching colour. Simply cut the Incizo® basic profile to the shape required using the supplied slitter. Use this elegant and subtle profile to cover the expansion joint between floor and e.g. wall, window or threshold, or as a connection to a carpet. For residential areas. Finishing profile for stairs and steps. For glued Livyn floors. Finishing profile for stairs and steps. For clicked Livyn floors. For safety reasons, always glue the floor panels on the stairs of a staircase. Use this elegant and subtle profile to cover the expansion joint between 2 floors of the same height. For residential areas. Finishing profile for inner corners of stairs and steps. For glued Livyn floors. Still have the feeling something’s missing? Try these accessories for that much-coveted extra touch.